Based on CNR track maps from the 1980s and other sources, this is a pretty good representation of the trackage in and around the terminal and freight house. Even better, though, this map clearly lists a number of industries served by the railway. There are coal sheds, lumber yards, and more. I can compare this to the siding turnout list in the 1938 Employee Time Table to get a better picture of a major traffic generating location on the line. A – Woodruff’s Siding. This area was also the site of a coal dealer: RM Stokes Coal Co. I did not know that. B – Weston Bakery. Again, I didn’t know that. C – Another coal dealer – Parnell & Garland. This is now the site of a low-rise apartment building. D – Spurs serving McKinnons and WS Tyler. E – At one time, Warren Axe & Tool was located here, and had rail service. Later, this area became a parking lot for General Motors, which has plants on both sides of Ontario Street. 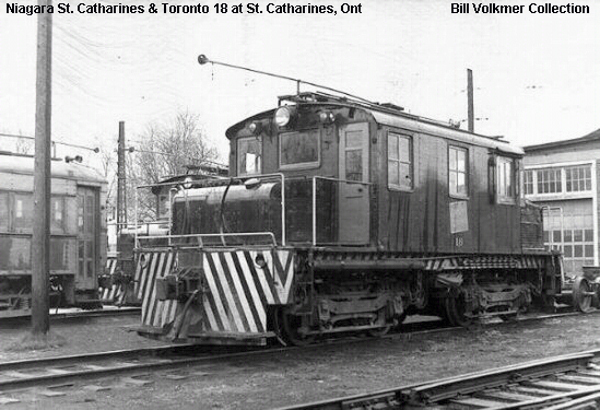 F – Welland Vale Manufacturing Company, also rail served. This morning, I had the idea that vintage aerial photography might help me trace the Niagara St. Catharines & Toronto – and I found an excellent resource online at Brock University. The Niagara Air Photo Index includes photography of St. Catharines, Thorold, Welland, and Port Colborne, and covers multiple eras dating back to 1921. 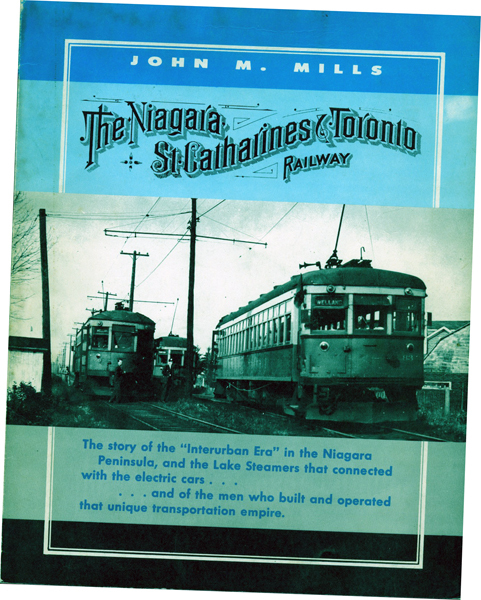 As I ponder a layout based on the Niagara St. Catharines & Toronto Railway, I have been reviewing my various source materials (four books and a video) about the line. Like many railway references, the 2008 edition of the book by John M Mills includes a lot of data that one tends to skip over in favour of photos and captions when simply reading for pleasure. But since I’m reading for specific information this time through, I’m paying much more attention to it. So, I’ve been reading through the appendixes … which include a copy of NS&T Employee Time Table 52 – dated April 3, 1938. In amongst the schedules and special instructions, there’s something I’ve never before encountered in an Employee Time Table: a complete list of sidings and turnouts for each division, presented in order with their mileage marker. This is spectacular information for the layout designer, because many of the sidings are identified by the customer they serve. Essentially, I now have a list of online customers, and where they were located in relation to each other. The descriptions also include things like passing siding locations and lengths (e.g. : Thorold Passing Siding, 345 feet long), railway trackage (e.g. : Thorold scale track siding, 452 feet long; beginning of double track; South Wye Switch), and more. But, this list is an excellent start. If nothing else, it will help me determine what segments of the NS&T will be most interesting to operate. And it’ll give me names to put to industries, which should help in researching them. I’m really pleased! Thanks to John M. Mills for including this important piece of background information in his book. 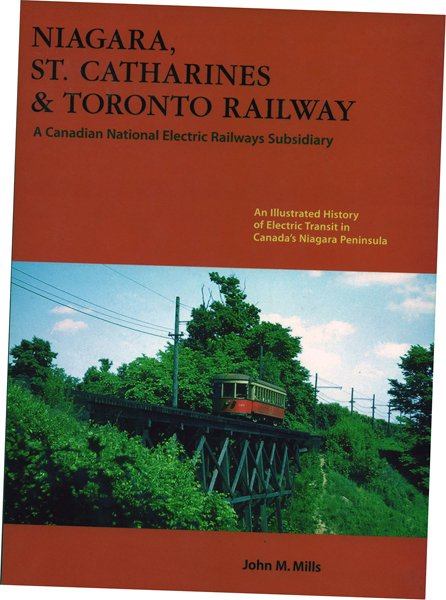 The first book I know of on the NS&T, this 118-page softcover volume was jointly published by the Upper Canada Railway Society and the Ontario Electric Railway Historical Association. I’m not sure of the publication date, although my copy has a handwritten note on the title page that says simply “December – 4 – 1971”. There’s no ISBN. It covers the history of the NS&T, its predecessors, and its various components – including the interurban operation, city car lines, navigation company, and bus services. 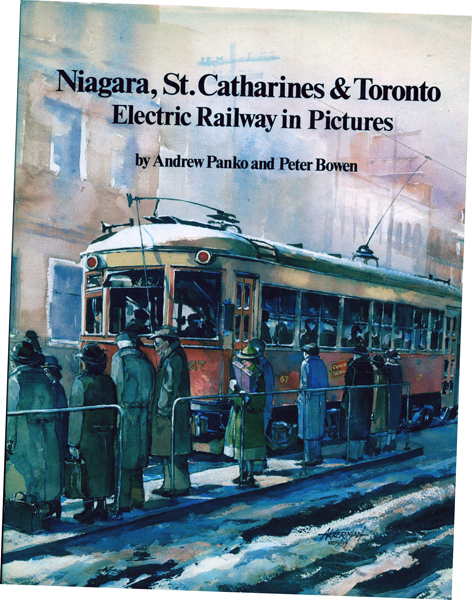 This 48-page softcover book of photos and captions was published by NiagaRail Publications in 1983, for the Niagara Division of the Canadian Railroad Historical Association. 1,000 copies were printed. There’s no ISBN. It contains a number of full-page pictures, and several not published elsewhere. A follow-up to their earlier collaboration, this 144-page hardcover was published by NiagaRail Publications in 1984 (ISBN 0-920184-02-6.) The book features a painting by Anton Akkerman on the cover, and 2,000 were printed. 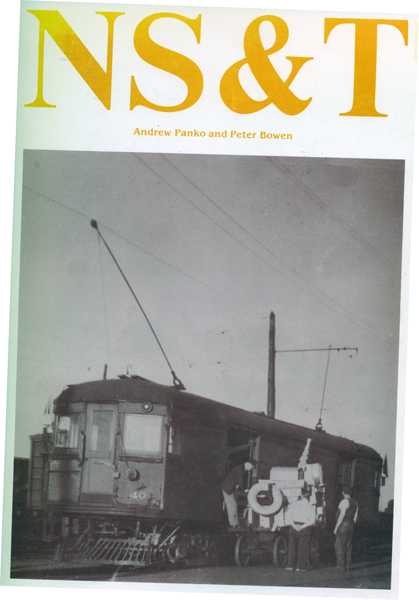 It continues the Panko-Bowen exploration of the NS&T via well-captioned photos – and like their first volume, it includes many large photos of subjects not found elsewhere. Two days of searching through storage containers under the layout turned up this box. 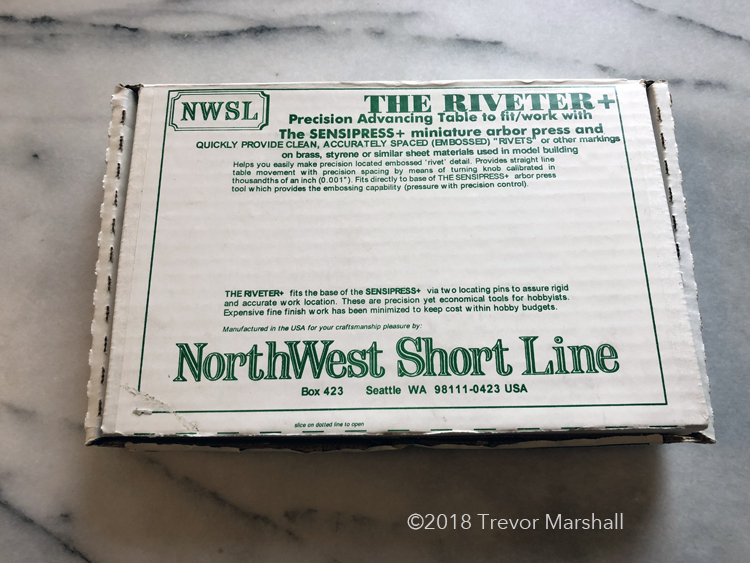 I do have a rivet-making tool – but it’s by GW Models (a manufacturer in the UK). So what’s in the box? As I suspected, it’s the frets and other parts for NST 18. Phew! I was keen to find this, because I’m building shopping lists for detail parts to finish each of the freight motor kits I have collected. If I’m going to be buying bells, horns, re-rail frogs, etc., I want to be able to do it in one order – not two or three. I have now put my hands on all of the NS&T projects, so the inventory can begin. I laughed, but she’s right. The sorting and clearing will continue! It’s just about everything I need to build a model of Niagara St. Catharines & Toronto 18 in 1:64. Now… if only I could find it. I spent the morning tearing through my storage tubs under my layout, and so far I’ve turned up nothing. I’m pretty sure it was in a box, but it might have been in an envelope – in which case I’m going to have to do a complete re-sort of the Home Hobby Shop to figure out where it has gone. Why haven’t you modelled electrics before? That’s another good question. As I’ve already noted, traction railroading is in my blood. But I’ve never tried my hand at a traction layout. I’ve owned a fair number of traction models over the years. 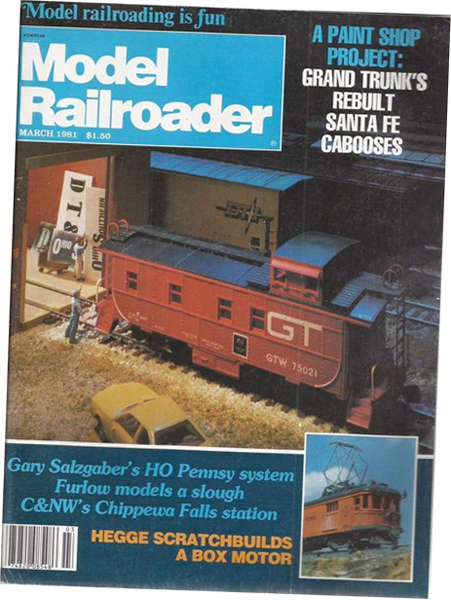 Back in the early 1980s, I attempted to scratch-build an O scale freight motor following an article by Bob Hegge. I got the basic frame built, but other priorities in life put the project on the back burner and I eventually disposed of the parts. In the late 1980s, I owned a Suydam (HO scale) model of an Illinois Terminal Class C.
Some of the O scale equipment came motorized, and runs better. Other pieces were imported without drive trains: It’s up to the modeller to fit a power truck. All of the O scale equipment is huge. Regardless of scale, the equipment I’ve collected spoke to me strongly as pieces but never strongly as the subject for a layout. However, whenever I tried designing a suitable Sacramento Northern layout that fit my space, I was never satisfied with the plans I developed. Curves in O scale are just such space eaters. 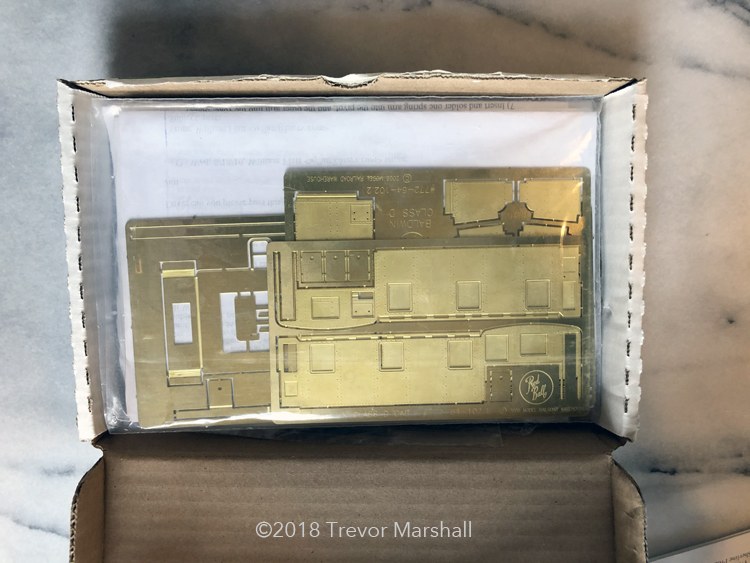 This is even the case with O scale traction – because remember, the SN was a freight-hauling line so a layout would need to accommodate entire trains, not just passenger equipment with radial couplers. I had never considered 1:64 as a scale for modelling traction – much less for modelling the NS&T. I have known for years that my friend William Flatt had produced S scale kits for some NS&T equipment. I acquired my first example from William back in 2012 – a kit for a GE steeple cab with parts to build NS&T #20. A couple of years later, I acquired a Model Railroad Warehouse kit for a Baldwin-Westinghouse Class D motor. 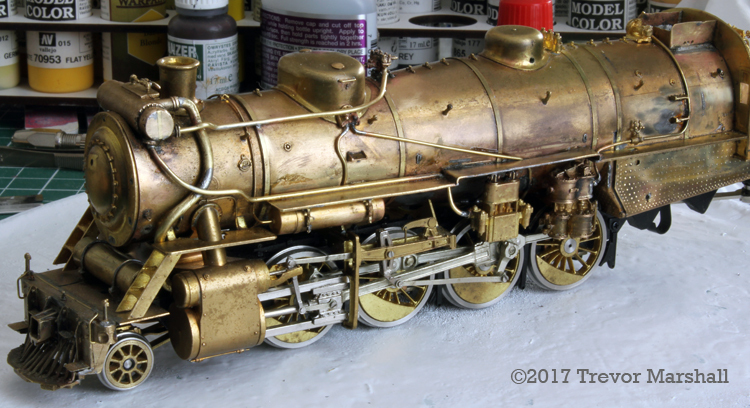 This came from a friend who was downsizing – and again, William was implicated: He’d supplied all of the parts to build the kit as NS&T #18. 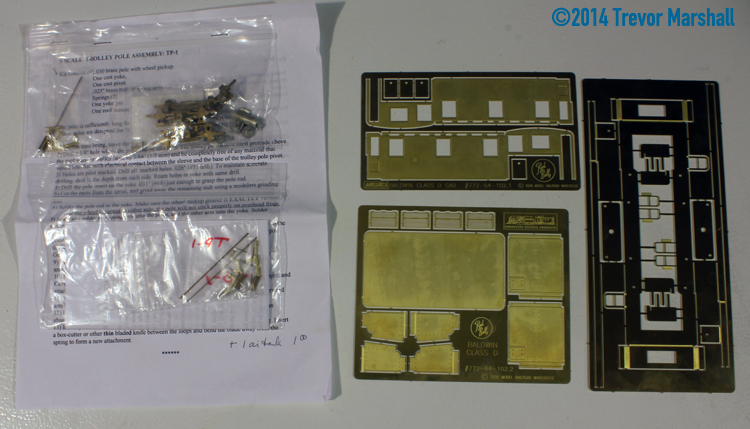 But these are flat, etched kits – and at the time I didn’t feel my soldering skills were up to the task. So, I acquired them as “someday” models. In the process, I’ve done more milling, turning, and resistance soldering in the past year than I’d done in a lifetime in the hobby before starting this project. 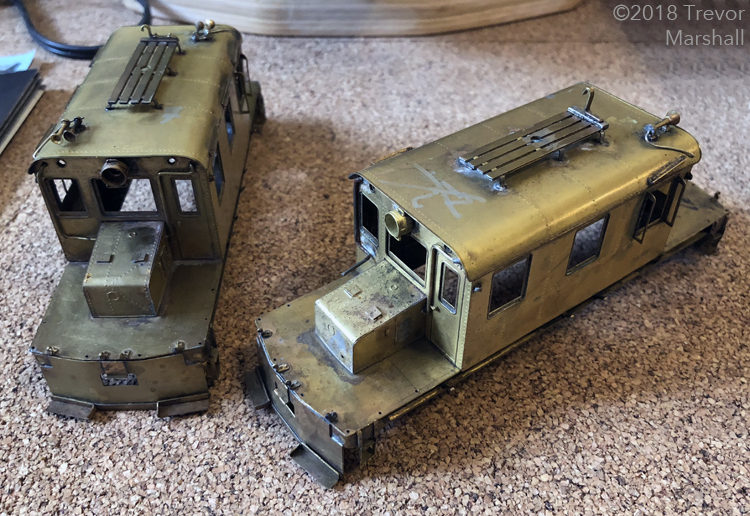 I still have a lot to learn – that’s what the Mikado project is really about – but my skills are much better than before, and I feel I can finally tackle my etched traction kits with confidence. Second, William had decided to downsize his collection of hobby material – including a number of NS&T kits and partially-built models. Earlier this month, I was able to acquire several examples – including freight motors 8, 15, 17, and 19 and passenger car 620. Willam’s generosity has suddenly made my long-time interest in the NS&T a viable modelling option. In future posts, I’ll look at each of the models in more detail – including what’s needed to finish them. Author TrevorPosted on February 14, 2018 March 16, 2018 Categories Background, Equipment3 Comments on Why haven’t you modelled electrics before? 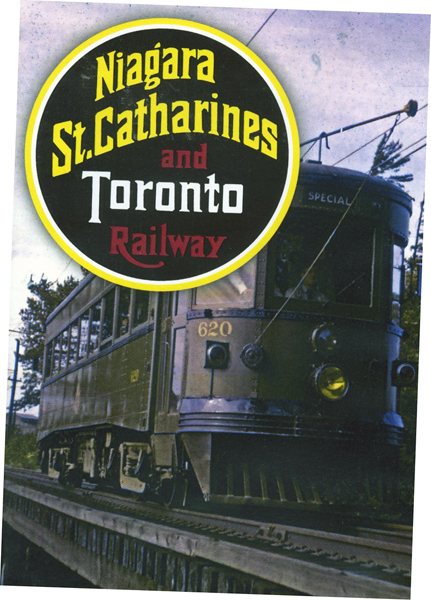 I have a long history and fascination with railways that run under wires – including the Niagara St. Catharines and Toronto Railway. 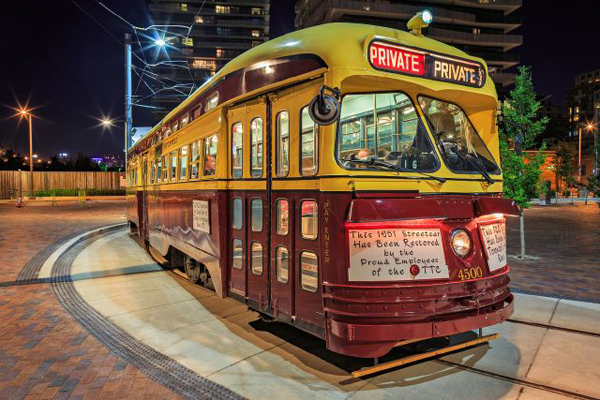 I grew up in Toronto, and my first exposure to full-size railroading was the Toronto Transit Commission’s extensive streetcar lines and its (at the time) two-route subway system. The TTC really was “The Better Way”, as its slogan says – so much so that my parents both stopped driving before I was born. We lived in several places in Toronto, but always near transit – in fact, always a quick walk or bus ride to a subway station – so that my father could easily get to and from work. Growing up, my mother and I would take transit everywhere: to the downtown department stores… the museums, galleries, and other attractions… the Canadian National Exhibition… St. Lawrence Market and other shopping… Centre Island, the Beach, High Park… and, of course, hobby shops such as George’s Trains. In short, everywhere. Transit was a way of life. Buses were just another road vehicle. They were a means to get to the subway, and that was it. No rails. The less said about buses, the better. I loved the way we would stop traffic to walk into the middle of the street to board. I loved the open windows in the summer, complete with dire warnings about sticking heads or arms out of the vehicle. I loved the sound of the traction motors, and the sparks from the overhead. I loved the dashed lines on station platforms that showed you how the ends of the car would swing out over the tracks as they rounded curves: step inside that line, and you’re going to be hit. I loved the flange squeal. When I was 12, my parents decided to move out of the city. I hated the thought – and when we ended up in the St. Catharines without a car, I discovered just how good the TTC had been. Now, it took most of a day to get anywhere – and the only transit option was a bus. But, it wasn’t all bad. For starters, back in the 1970s and 1980s, St. Catharines had the most amazing model train store I’d ever seen. Niagara Central Hobbies was nirvana for a railway modeller. And I could walk (or, in good weather, bike) to it from home. Despite living in Toronto, I didn’t often see real railroads at work. They tended to be in places we weren’t. So this was my first real exposure to real-life railroading – and what an eye-opener! 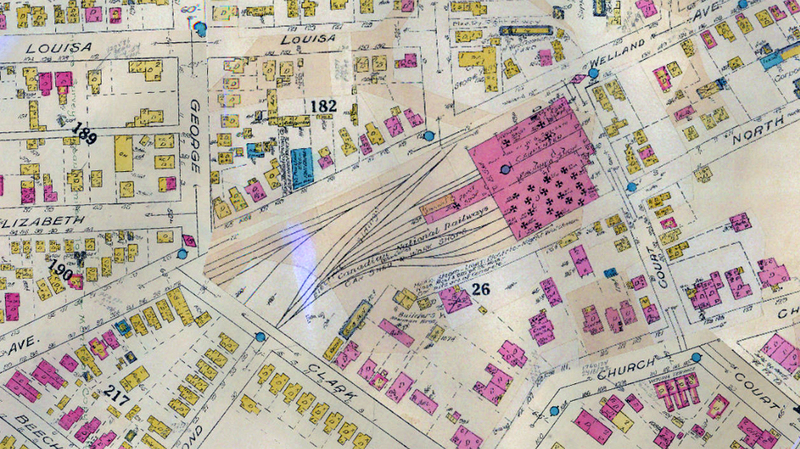 The CNR would haul boxcars along tracks in the street, right up the road from me. When I attended high school, I would walk to school along Louisa Street – and my path would frequently cross that of a switch job headed to GM. I soon learned that these were tracks once worked under wire by the Niagara St. Catharines and Toronto Railway. 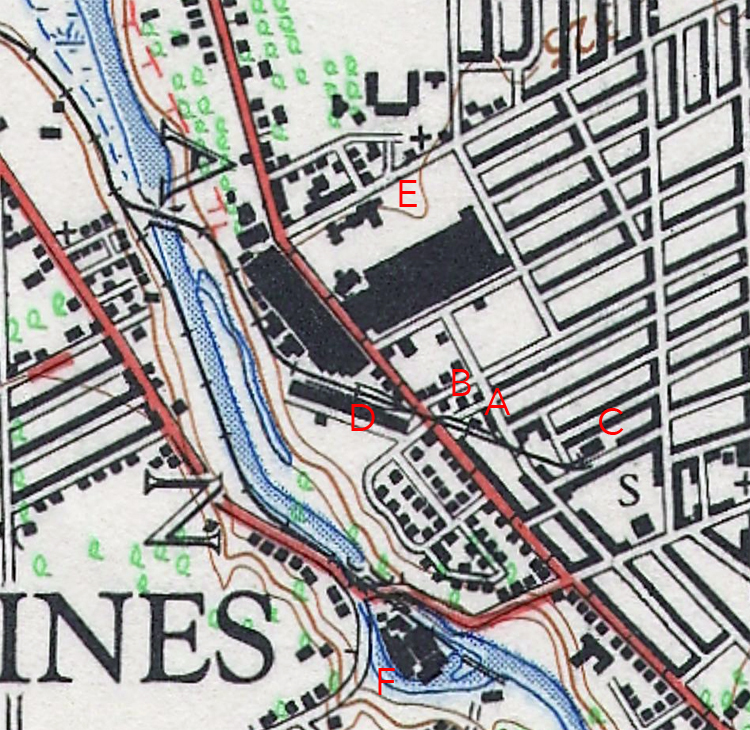 I spent lots of free time on my bicycle, riding through the city to follow these tracks down through the Eastchester Yards and eventually to Merritton Yard, where the CNR’s Grantham Sub (as the NS&T lines were known) connected with the Grimsby Sub mainline. 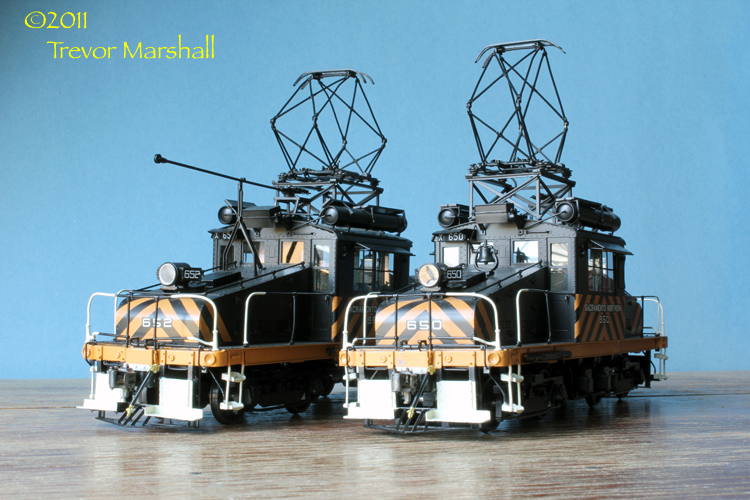 Between the TTC and the NS&T, electrics became a strong influence in my hobby. But I’ve never modelled them – for various reasons that I’ll detail in a future post. Author TrevorPosted on February 13, 2018 March 16, 2018 Categories Background, Ontario Street / McKinnon / Woodruffs, Philosophy, Places - Merritton, Places - St. Catharines, PrototypeLeave a comment on Why the NS&T? On this blog, I’m going to explore the NS&T as a potential modelling subject in S scale (1:64). My initial posts will cover my decisions on era, potential locations to model, equipment (including a number of items I already own), and other planning considerations. At some point, I’ll start doodling layout plans and sharing them here, too. 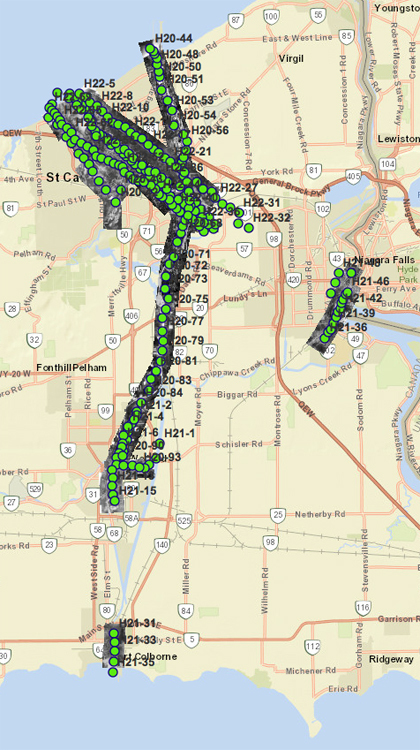 If all goes well – specifically, if my exploration evolves from theory to practice – this site will morph into a record of my model railway based on the CNR electric lines in the Niagara Peninsula. I hope you’ll follow along and enjoy the journey! Author TrevorPosted on February 13, 2018 March 16, 2018 Categories Background, Philosophy, Tech Notes5 Comments on Hoo-boy: It’s the NS&T!